In the spring of 2016, Sarah Amato and Monique McFarlane photographed friends and strangers reenacting an event found in histories of the women’s suffrage movement in Alberta. 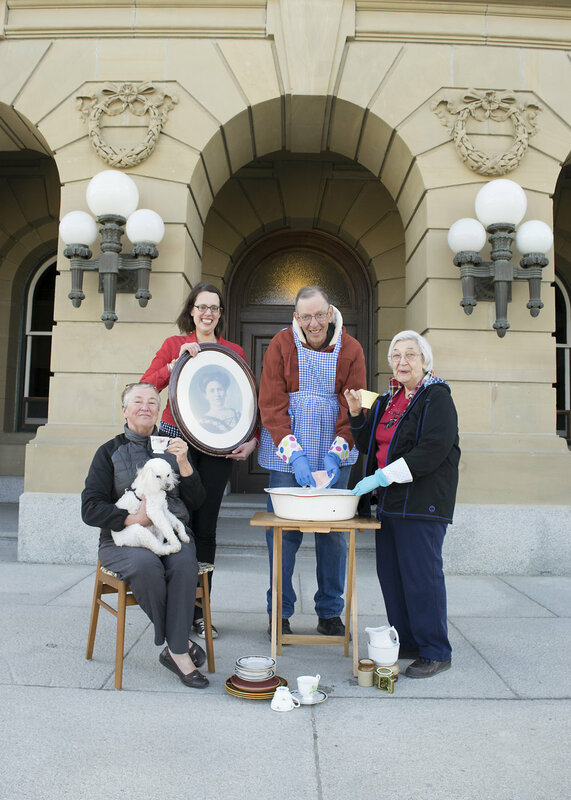 By inviting people to wash dishes on the steps of the Legislature, Amato and McFarlane sought to subvert these attitudes. Participants brought along items that represent their goals, achievements, and connections to Alberta. The photographs celebrated people who cast their votes and political participation in all its forms. The photographs were also displayed at the “History of Women’s Political & Social Activism in the Canadian West Conference” at the University of Alberta, Edmonton, Alberta. They are now on display at the JDIC Seniors' Centre, Edmonton, Alberta.